At present, China's economic develop rapidly, domestic infrastructure is also flourishing, high-rise buildings, water projects, high-speed rail, highways, all in full swing, major foreign crushing equipment companies are optimistic about the potential benefits of the Chinese market, foreign many large companies settled in China ,gained great interest in China. With rising international forces of China , we significantly increased R & D capabilities, we already have the ability to produce our own crushing equipment, begin engaged a fierce competition with foreign companies, form a intense competition situation in the mall. Today competition of crushing equipment industry intensified, there is the phenomenon of survival of the fittest in the industry, the equipment cannot meet market and customer will be eliminated, the manufacturers of it are also doomed to bankruptcy. Only closely follow the trend of the times, in today's era of intelligent, crushing equipment manufacturers who research and produce intelligent can get a head start in the competitive environment, access to the living space. 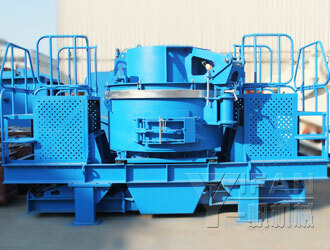 Intelligent of crushing mining equipment has become a necessity. Intelligent of crushing mining equipment not only saves manpower, improve efficiency, and reduce the risk of manual labor. Increasing intensity of mining, artificial machinery has failed to meet the market demand, intelligence is the pursuit of crushing equipment manufacturers.